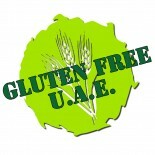 The first and only ENTIRELY gluten-free restaurant in the UAE! The Italian cuisine is located in a building on tourist club, Abu Dhabi that’s quite easy to miss. The place opened on the 9th of April and is fairly small. It consists of a reception area with gluten-free products displayed on shelves on the wall and a kitchen. Sadly they don’t have any seating areas and they just do take-away/pick ups. Pizzaro has over 20 branches across the Emirate. They decided to dedicate this branch to cook and serve only gluten-free meals. The staff are prohibited from bring their own meals to the kitchen out of fear of cross-contamination. They’re very educated regarding Celiac and gluten intolerant people and are well aware of all the risks gluten may cause on such customers. They purchase most of their products from Organic foods and café and they use brands such as Organs, Molino Andriani and rustichella d’abruzzo, which they also sell. The food was overwhelming; a delicious dish after the other. We started with a slightly spicy Arabian steamed potato, it was followed by two salads; a fresh seasonal mix garden salad with gluten-free croutons and shaved parmesan cheese and a Caesar salad with green apples and veal bacon crumbles. We then tried their light Tuscan styled brown lentil soup and Creamy pumpkin soup with sautéed prawns, which was rich with flavors and my personal favorite. cream, Parmesan cheese and baby spinach leaves. We then had a penny pasta with chicken, fresh green asparagus, tomato and cream that melts in your mouth and another penny pasta with chicken, green asparagus, cream and fresh tomato. Their scrumptious spaghetti was served with perfectly cooked beef meatballs, spicy tomato sauce, basil leaves and fried eggplant, it was simply satisfying. Lastly, we had truly remarkable seafood spaghetti with squid rings, mussels, clams, prawns, tomato sauce, garlic, hint of chili and fresh parsley. I’m a sucker for seafood and that was a dish that I kept going back for. Whereas for pizzas, we asked them if it was possible to serve us 4 toppings on one pizza and they were more than happy to do so. The pizza was executed perfectly, and the bright colors of the ingredients peeking through made it a feast for the eyes as well as the stomach. Very few restaurants can get a good gluten-free pizza crust, and I thought they nailed it. My sister kept going on and on how you can’t tell the difference between regular gluten meals and gluten-free meals here. The toppings we tried were Parmigiana, Mediterrane, Pollo Affumicata and Pollo Piccante, which was too spicy for me. There were a few deserts, but we went with the Terrina Al Cioccolati, which is a Chocolate brownies cake with hazelnut, candied orange and pistachio sauce. I found it a bit too strong and bittersweet for my liking, but I know a lot of chocolate lovers would seemingly enjoy it. Finally we had the heavenly tiramisu that was the perfect end. Though I would love to be selfish and keep Pizzaro all to myself, but the work of Chefs Samuele Crestale and Davide Barison is too good to stay hidden for long. There’s no doubt a restaurant like that will quickly become the hottest in town. This entry was posted on 21/04/2015 by ramonabrainstorm in Reviews and tagged gluten free, gluten-free UAE, Pizzaro.